When some people experience issues with mobility or other health conditions, they choose to postpone or completely disregard getting proper care from mobility and health specialists, like our experienced staff at Pioneer Trace Healthcare & Rehabilitation. However, delaying care and rehabilitation will only lead to worse and undesirable situations. When struggling with health issues and physical discomforts, it’s best to take advantage of the most reliable Rehabilitation Services in Flemingsburg, Kentucky as soon as possible. 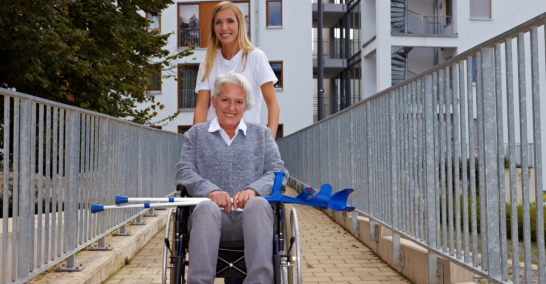 Having physical impairment and other health conditions require extra care and attention. Most of the time, achieving full recovery can’t simply be a “DIY”. Certain conditions, such as injury and chronic pains, need the special care of a medical or skilled professional. If you refuse to be admitted to the hospital or decide not to get post-hospitalization care, there’s a great chance that the health issue you are suffering from will only linger for a longer time than expected and desired. Most rehabilitative equipment and supplies are not commonly used at home so people commonly don’t bother getting one in advance. Because of this, most equipment needed for full recovery can only be accessed from rehabilitation centers or professionals. Nothing can heal quicker than the expert care provided by skilled nurses and rehabilitation therapists. Our team of highly qualified nurses and therapists at Pioneer Trace Healthcare & Rehabilitation are fully trained to provide the special care and treatment that patients with immobility and health issues need to achieve a quicker and normal full recovery. Especially if you are nursing a patient who has a physical injury, the tasks and activities you can perform and the time and energy you can spend to do them may be limited. You may even have to take an extended leave from your work or school until you have fully recovered. Not being able to go out from home or get out of bed until you have fully recovered may lead to missing important activities or events. You may have some vacations plans with your loved ones that you will have to skip or an important event in your company that you will have to take an absence from. Getting a proper rehabilitation will enable you to fully heal quickly in order not to miss important happenings in your life. If the proper treatment for any injury or health issues is postponed, it may develop into a chronic condition and will only get worse over time. It’s important that any health issue is treated by a professional as soon as possible in order to prevent it from turning into a more painful and costly condition. More money to invest on prolonged health issues. Certain health issues, if untreated quickly, leads to worse conditions. For example, a leg injury, without proper rehabilitation, may result in a much bigger injury or accidents related to falling and slipping. And the worse a condition gets, the more expensive you will have to pay in the future. Therefore, getting proper rehabilitation and nursing care as soon as possible is important to avoid more costs and more healing time. If you need one place that offers comprehensive rehabilitation services for injuries and other health issues, Pioneer Trace Healthcare & Rehabilitation is the healthcare agency that you need. We have a league of expert and highly-trained therapists and nurses that specialize in helping a patient to nurse and treat mobility issues and other health concerns. For years, we have established a reputation in providing expert and excellent rehabilitative care and outstanding skilled and medical services to clients. Health is a precious possession one should be taken care of. For a quick and effective recovery process, you can’t go wrong with the most reliable provider of Rehabilitation Services in Flemingsburg, Kentucky to nurse you back to health. Pioneer Trace Healthcare & Rehabilitation is always open to guide you towards the full recovery you need. Contact us at 606-845-2131. This entry was posted in Rehabilitation and tagged Recovery, Rehabilitation. Bookmark the permalink.